BaByliss produce hair dryers at every price point but their high-end, more expensive, professional models are a salon favourite. These include the highly rated 3Q Professional Hair Dryer (£118.99), which offers a 10-year motor guarantee, and the Boutique Salon Power Blow Dry (£65). Dyson have completely revolutionised the way hair dryers are made. With millions invested in hair research, years of development and input from engineers, hair scientists and designers, the Dyson Supersonic has taken the market by storm. Light, quiet, compact and powerful, is the Dyson the last word in hair drying innovation? 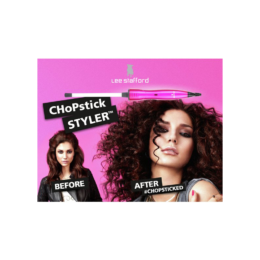 One big convert is Jen Atkin, hair stylist to celebrities Kim Kardashian, Bella Hadid and Karlie Kloss who claims it’s a ‘game changer’. But at £299.99 it’s not cheap and to equip a team of hair dressers at a larger salon represents a major investment. 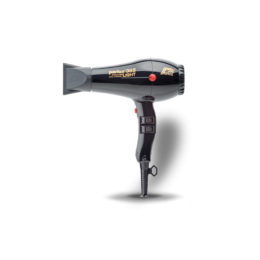 Elchim have been producing professional hair dryers and styling tools for hair salons since 1945 and its dryers are now used in 48 countries. This Italian-based company was the first to make hair dryers exclusively for professional use and each product is tested to ensure at least 2,000 hours of operation. Elchim claims its 8th Sense Dryer (£127) is the very first adapted to all hair types from baby fine to thick. 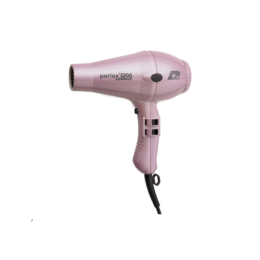 It has multiple air flow and temperature combinations with power from 300 to 2100 watts for maximum styling control and is available in various stylish colour ways. ghd is the last word in cool product design and inspires true brand loyalty in the hairdressing world not only for its well-loved straighteners but now for a range of professional hair dryers fusing powerful performance with great looks. Bought by global beauty company Coty in 2016, ghd is an iconic brand that claims to be shaping the future of the salon industry.The ghd aura® (£145) features patented Cool-Wall® technology allowing you to get closer to the roots to create volume without damage. It boasts a handy 4m long cord.The ghd air®(£99) combines a professional-strength motor and high-pressure airflow, reportedly drying hair in half the time of conventional hair dryers. Weighing in at 1.54kg, though, neither of these dryers can claim to be lightweight. 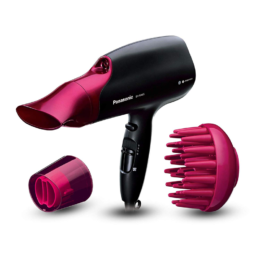 Parlux makes award-winning professional hair dryers with powerful, long-lasting motors and great looks. Industry insiders talk about Parlux dryers as market leaders and they are consistently five-star rated. This Milan-based company has introduced some impressive innovations including silencing technology to reduce dryer noise by up to 45%. The Parlux Super Compact 3500 (£72.95) combines power with light weight and ceramic ionic technology and, at only 17 cm in length, is incredibly compact. Light, powerful and featuring a built-in silencer, Parlux claims its 3800 Eco (£113) is the most eco-friendly (!) hair dryer available, reducing drying time and electricity usage. The Parlux 385 Powerlight is a super-light 450g but packs a powerful 2150 watts and is perfect for drying thick, curly or unruly hair (£97.95, Amazon). The label m range became the ‘Official Haircare product of London Fashion Week’ in 2013 so you know you’re in safe hands when it comes to their Label m Tourmaline Dryer (£59.95 available in black or white. Voted no1 in a recent Independent UK review, this hair dryer features a powerful 2200 watt motor to speed up drying time along with ionic technology. Professional haircare guaranteed out of salon hours! Also included in the label.m range is the high performance Turbo Dryer 3200 (£79.99) with 1900 watts and featuring four temperature settings for complete adaptability. Valera has been making hair appliances for over 60 years and sets a gold standard in products developed in close association with hair specialists. Valera hair dryers are easy to use, robust and efficient with exclusive accessories such as the tangle-free Rotocord and Touch Me Cool Nozzle making them the brand of choice for many professionals including some Aveda salons. See our review of the Valera Professional Swiss Turbo 8200 Ionic.